To support the event, the restaurant company has committed 10 percent of its sales proceeds on June 30th to benefit those affected by the recent tragedy in Orlando. Miller’s Ale House will also collect additional donations from guests who want to contribute directly. All money raised will go to the OneOrlando Fund. 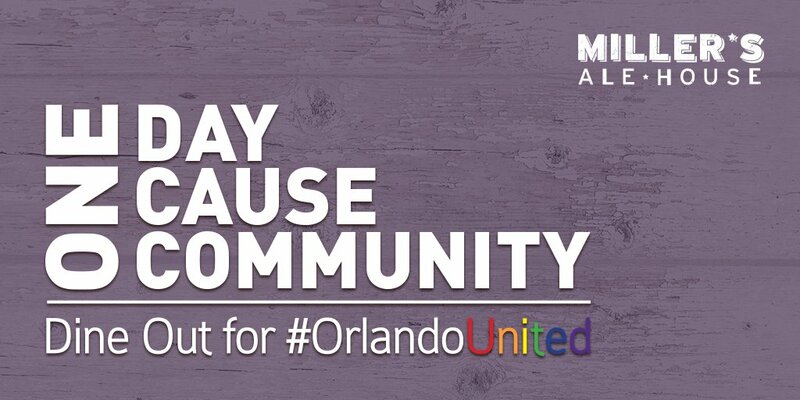 Led by the Florida Restaurant and Lodging Association, the Dine Out for Orlando United event is a day for restaurants, their employees and guests to make a difference in the lives of those affected by the tragedy. 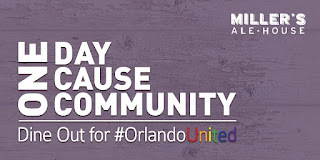 “The restaurant industry at its very core is about connecting people over shared experiences, and Dine Out for Orlando United is about giving back in the way we do best,” said Allison Hill, vice president of Marketing for Miller’s Ale House. 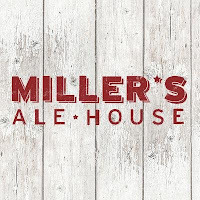 For more information about the Miller’s Ale House and to find a restaurant near you, visit http://www.millersalehouse.com/ and www.frla.org. Miller’s Ale House currently owns and operates 73 casual, high-energy, sports restaurants & bars. Miller’s Ale House offers a quality-driven menu at valued pricing featuring appetizers like their signature Zingers Mountain Melt, salads, sandwiches, soups, pastas, steaks, seafood and desserts. The company started in 1988 in Jupiter, FL, and is now located in 10 states: Florida, Georgia, Illinois, Massachusetts, Nevada, New Jersey, New York, Ohio, and Pennsylvania. 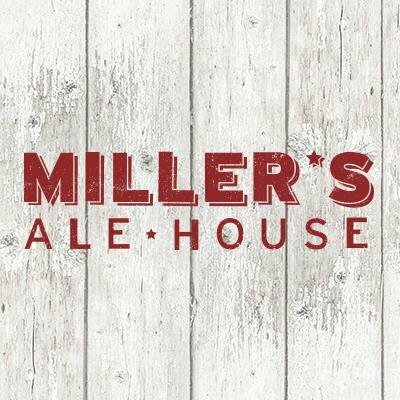 Visit www.millersalehouse.com for more information.